Regular check-ups and maintenance are great ways to avoid preventable and (possibly) costly issues with any Precision Cooling Solutions. Unfortunately, even with a conscientiously followed maintenance schedule, unexpected problems can still occur. Check out these tips to handle emergency air conditioning troubles and save yourself a lot of hassle. Clear away debris and obstructions on and in the outdoor unit. Your central air conditioner’s outdoor unit is protected by a grating that can keep away large objects, such as fallen tree branches, from getting into the condenser coils, but smaller objects like leaves and pebbles can still make their way through. If you are able, clear out any of the visible debris that may have found their way into the unit to open up the air flow inside. Clean out air passageways. Dust, dirt, pet fur and dander are notorious for building up and clogging vents and registers. Cleaning out these passageways not only helps maintain circulation in your air conditioning system but also greatly improves your indoor air quality. Replace old filters. Depending on your AC unit, air filters often need replacement monthly or every three months. Mark your calendars to ensure regular replacement of your air filters. During the summer, when your system runs for extended periods of time, it may be necessary to up the frequency of air filter replacements. Call for emergency AC repair. Emergency HVAC services come at a premium, but for major issues that can’t be resolved with basic troubleshooting, there are no better alternatives than to call in the professionals. 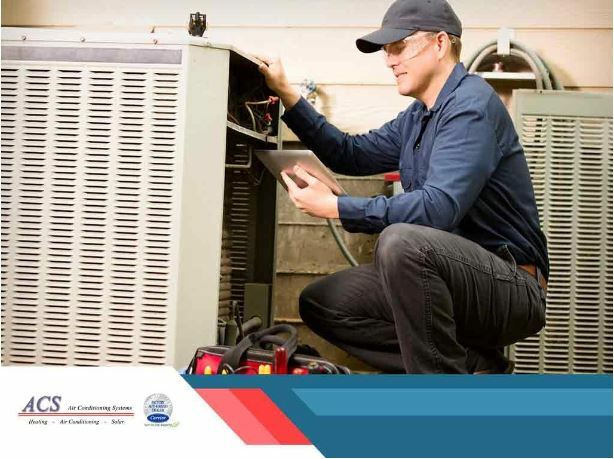 If your air conditioner experiences troubles with its refrigerant levels and leakages, problems with its condenser, evaporator, compressor, fans and/or motors, and these issues cannot wait for a regular repair visit, then emergency repairs are your best bet. ACS offers affordable emergency repairs for any air conditioning issues that you may have. Call us today at (925) 676-2103 or fill out our online contact form to schedule a visit!